For over a century, Weinbach Pianos have remained indelible fixtures not only in the piano manufacturing industry, but also in concert scenes, operas, and recitals. 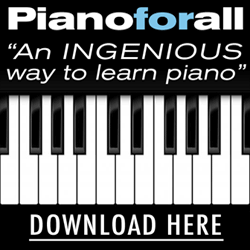 They have earned the accolades of pianists from the all over the world, indeed. These instruments are not just pleasing to the eyes, but are also excellent in their tone, resulting to a rich, lovely sound that never fails to capture the hearts of listeners. 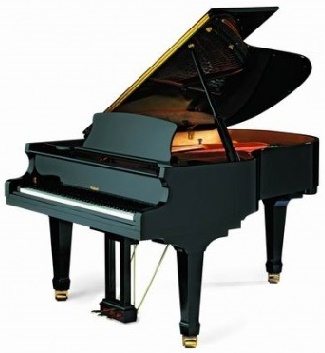 Weinbach grand and upright pianos are middle-class instruments manufactured adherent to standard construction measures. Specialists from the Petrof Company are currently in charge of supervising and maintaining the quality of Weinbach pianos. and technically documented by the Department of Construction and Technology of the Petrof Company, not to mention the efforts exerted by the Petrof company’s supervising team to ensure that every piece comes out in quality and elegance. The production of these pianos is finished in the Petrof Company factory, located in the Czech Republic. Strings, cabinets, pedals, pedal levers and other semi-finished products, to name a few are outsourced abroad to guarantee high quality tone and sound. The Petrof Company takes charge of manufacturing other piano parts, including keyboards, actions of European origin, hammers and other materials. Each instrument is crafted with care and dedication. They are then assembled by expert and trained piano-makers at the Petrof factory. Despite the tough competition in the piano manufacturing industry, Weinbach upright and grand pianos continue to hold its own, thanks to the modern design principles and traditionally reliable details that the company apply, as well as the high quality wood and perfect mechanisms used during the manufacturing process. Indeed, Weinbach piano gives only the best to its customers, from unparalleled concept and design to the use of sturdy materials and application of creative craftsmanship to guarantee the best of the best in Weinbach pianos. All of these elements fuse together to produce excellent piano-playing experience that piano owners and music enthusiasts easily associate with Weinbach piano. Owners of Weinbach upright and grand pianos have nothing but pure indulgence to enjoy, thanks to its quality tone, which continues to remain beautiful and full in sound despite the passing of years. Searching for an Appraisal of a new or used Weinbach piano?